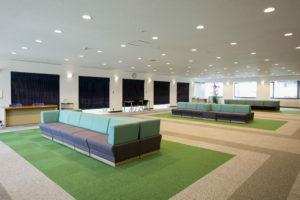 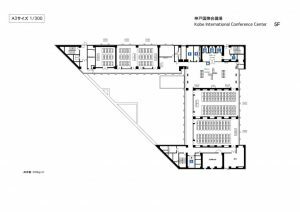 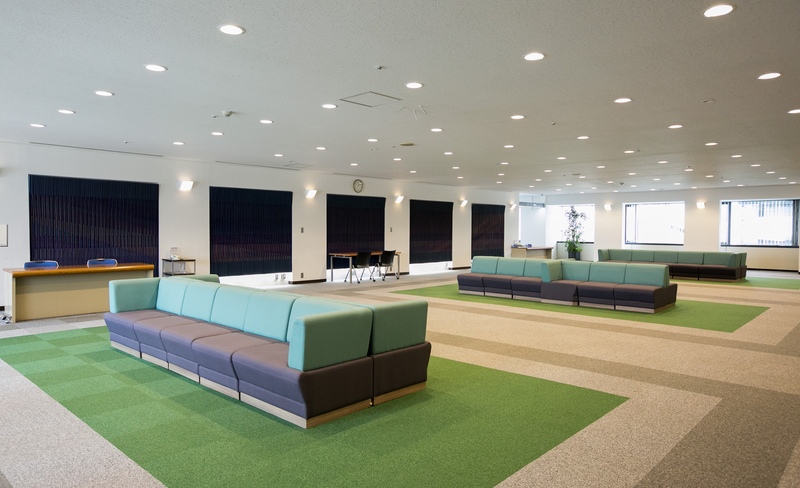 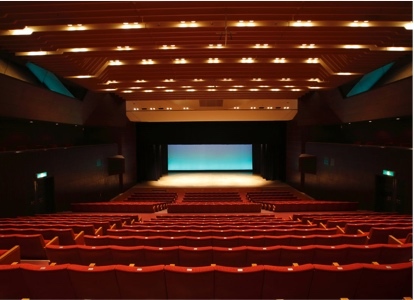 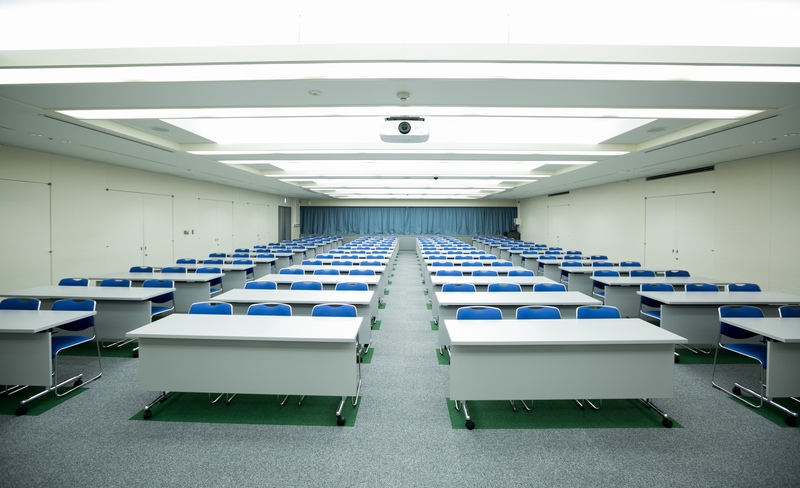 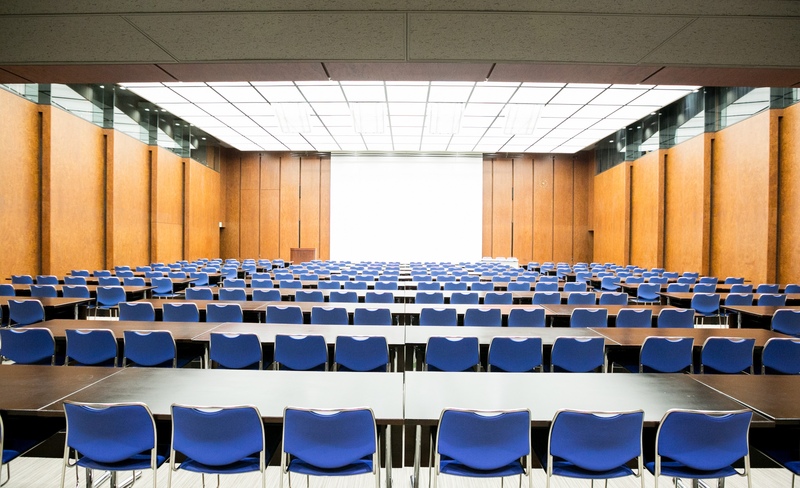 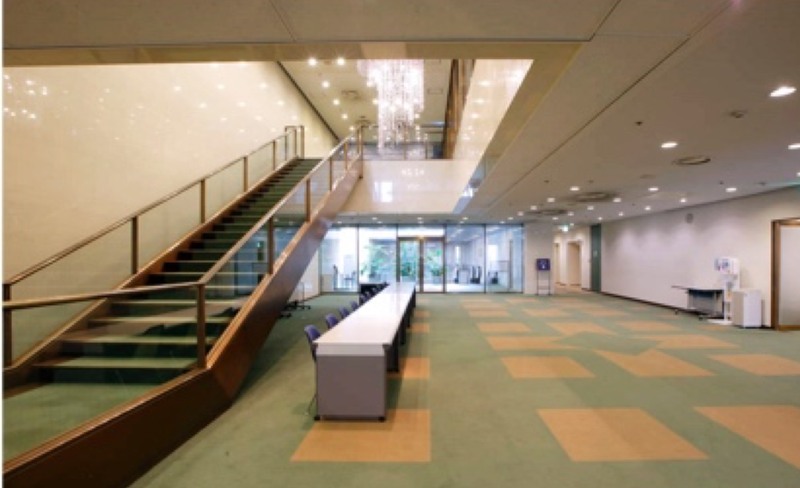 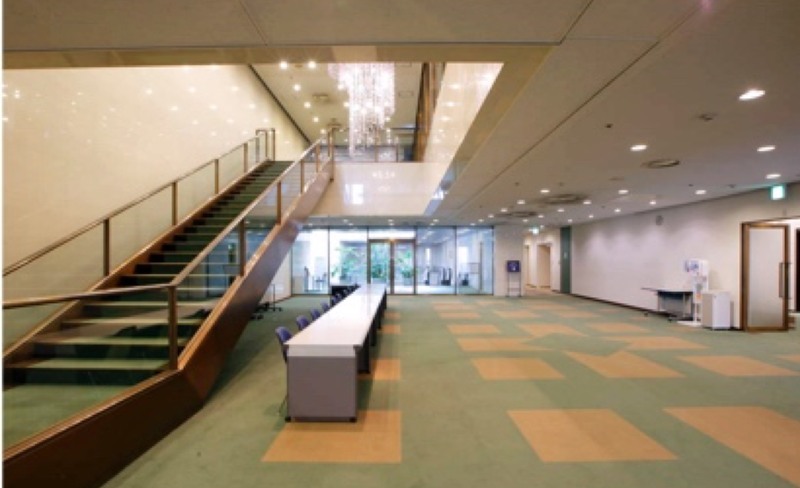 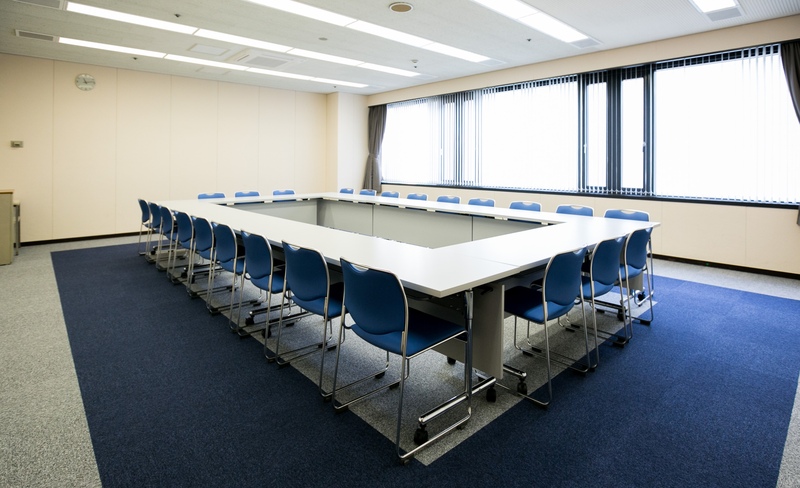 Five small to medium-sized meeting rooms are located on the 5th floor, each of which can accommodate 80 to 200 people when in a theater style layout. 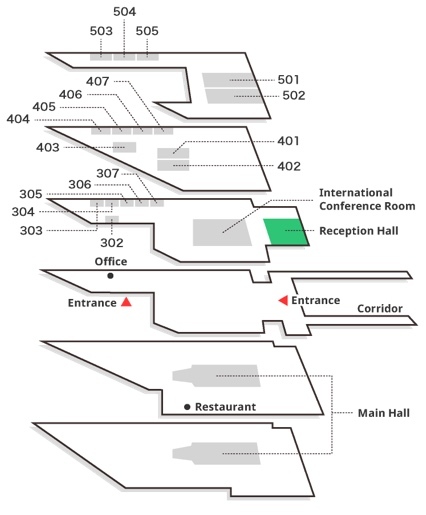 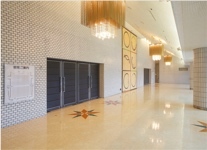 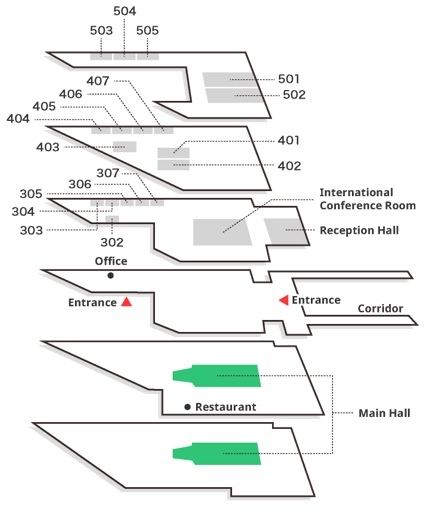 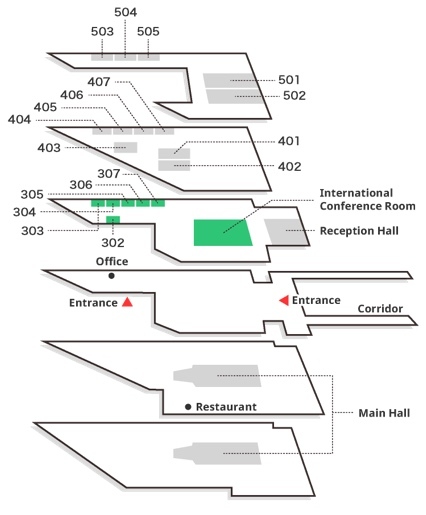 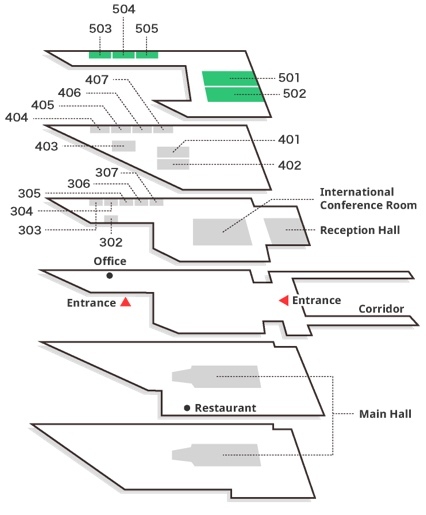 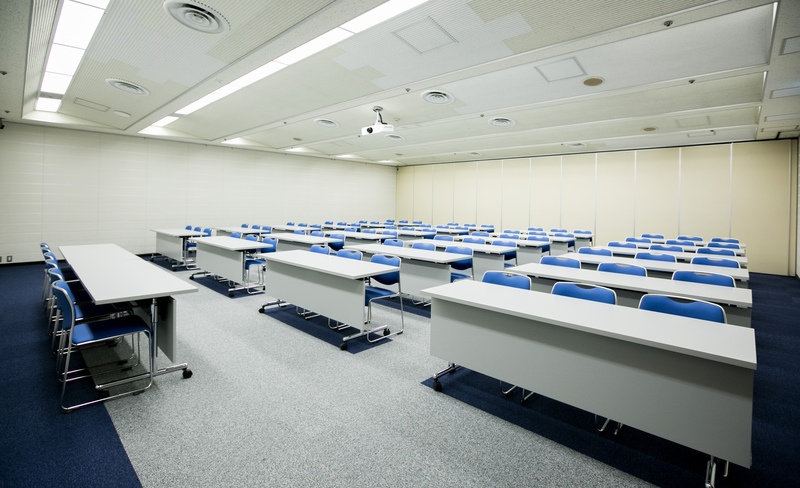 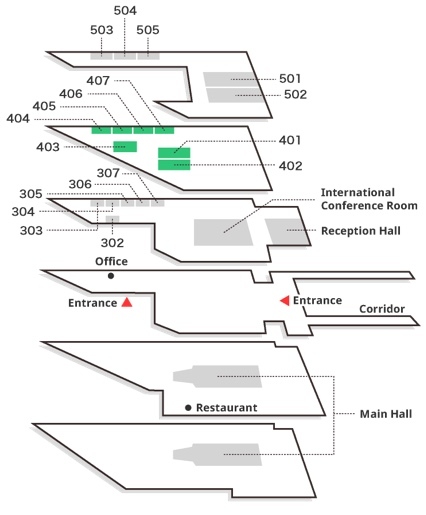 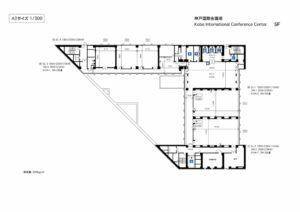 Room 504 and 505 can be used jointly as a maximum 185m2 meeting room. 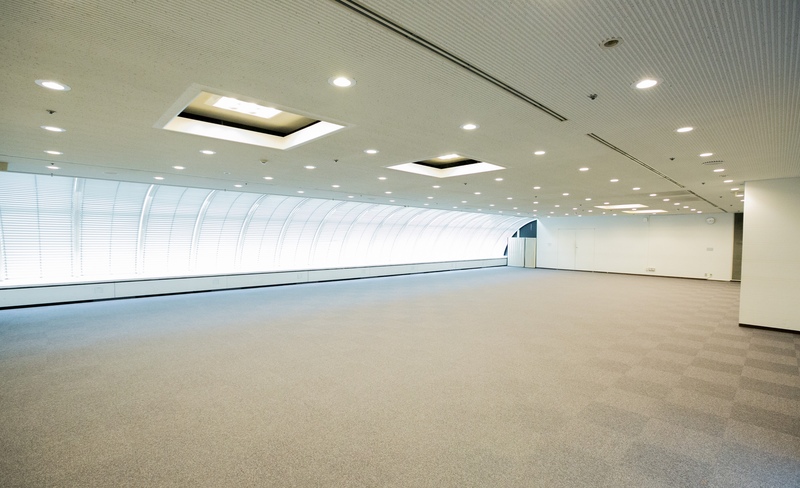 When the floor is reserved for your exclusive use, you can use the entire floor in a variety of ways to suit your purposes, including poster sessions, coffee breaks, and after-seminar parties, using the spacious lounge.